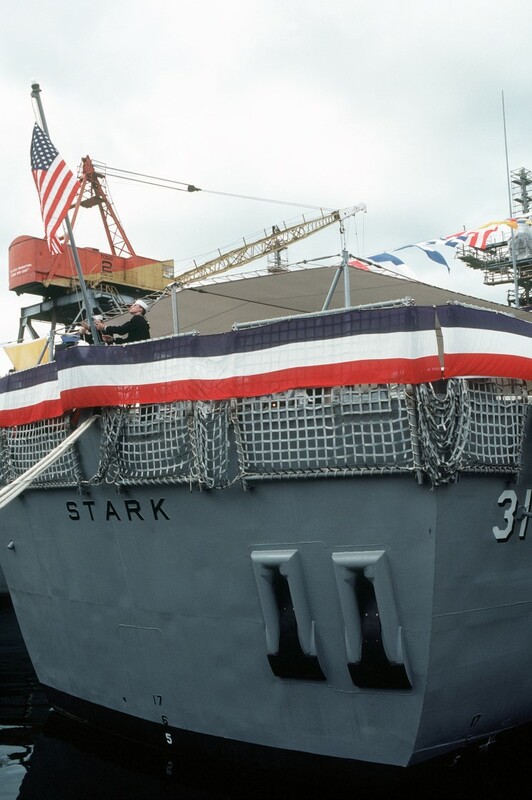 October 23, 1982: A crewman raises the ships flag at the commissioning ceremony for the USS Stark FFG-31 at Todd Pacific Shipyards Corp.
October 23, 1982: Crewmen man the rails of the USS Stark FFG-31 at the commissioning ceremony. 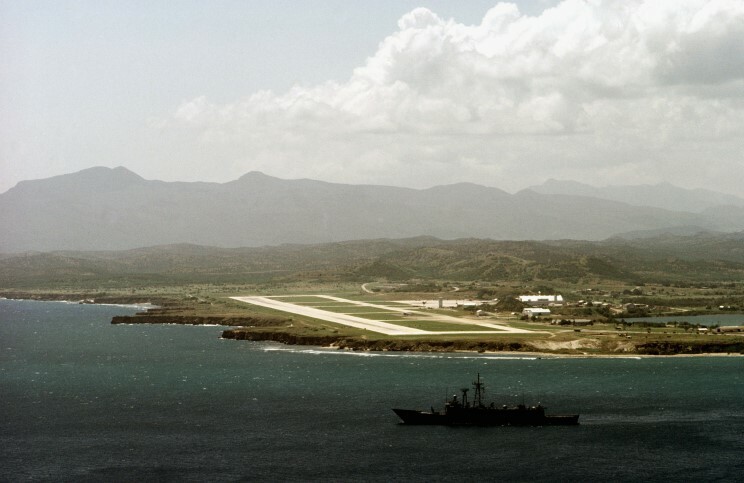 September 15, 1983: USS Stark FFG-31 passing Guantanamo Bay, Cuba. 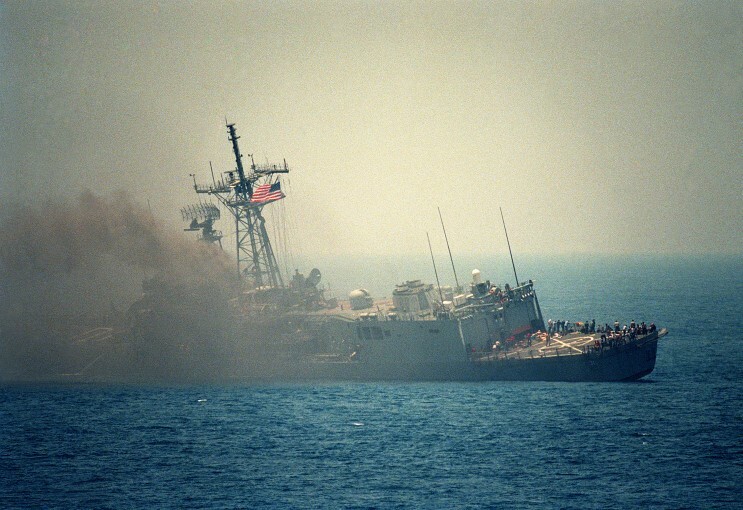 May 17, 1987: USS Stark FFG-31 after being hit by 2 Iraqi Exocet missiles in the Persian Gulf. 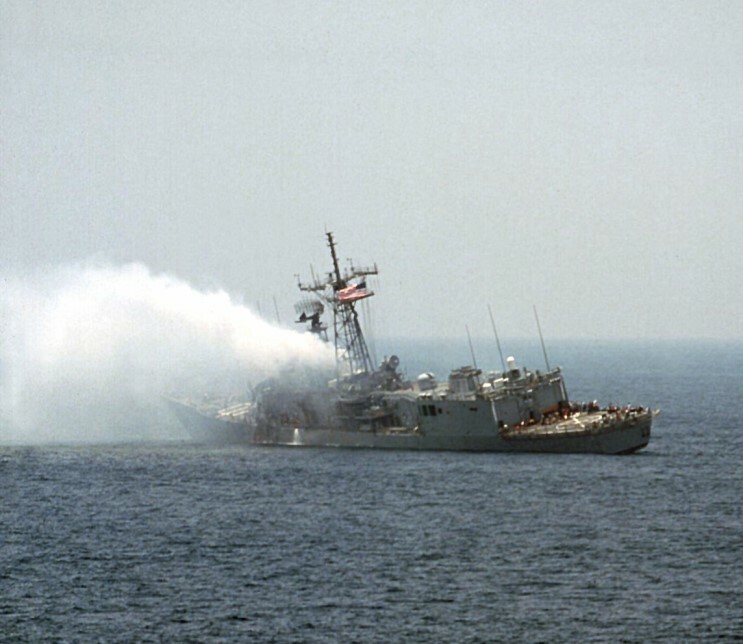 May 17, 1987: USS Stark FFG-31 after being hit by 2 Iraqi Exocet missiles in the Persian Gulf. 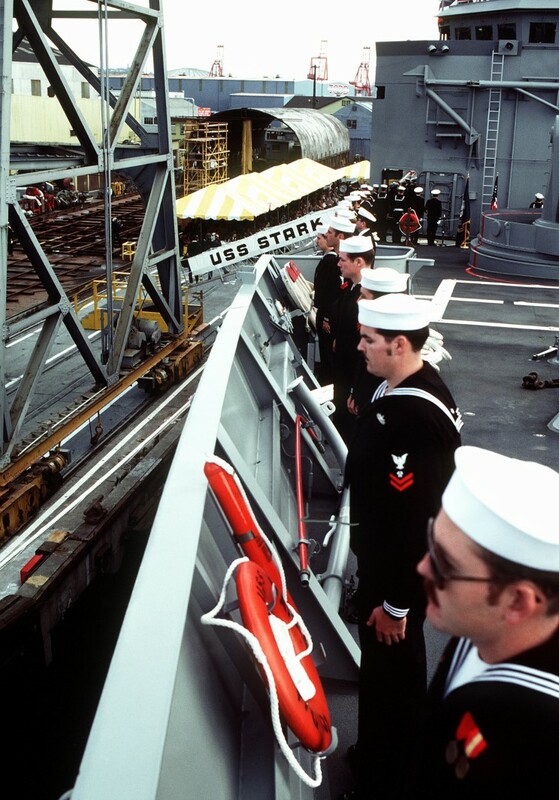 Thirty seven crewmen were killed in the attack.